At BMW's annual shareholders' meeting in Germany on Thursday the company released a teaser image of its future iNext electric car. 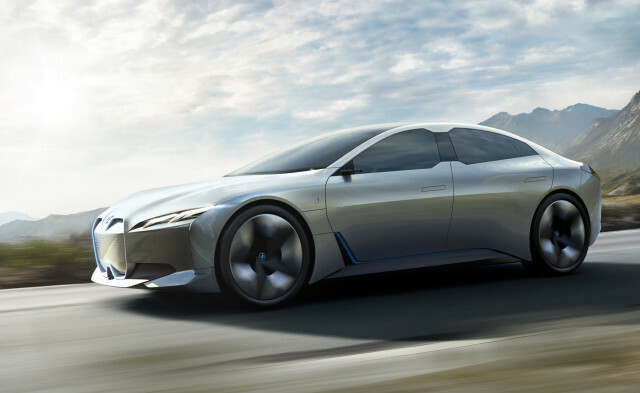 The iNext is designed to be a technology showcase for BMW: electric propulsion, full self-driving, and advanced interfaces, said BMW CEO Harald Krueger. It is supposed to be available with three different battery sizes: a 60 kilowatt-hour battery with 280 miles of range, a 90-kwh battery good for about 342 miles, and a range-topping 120-kwh battery with 435 miles of range. That last figure is longer than most gasoline cars. Krueger said a full concept version of the car will appear later this year. It will be based on BMW's large-car architecture which underpins the 7-Series and the upcoming X5. Krueger also said the iNext will offer Level 3 self-driving capabilities, which will let the driver cede control to the car under certain conditions as long as they stand ready (or at least sit ready) to retake control within seconds if any warnings sound. He said the car would be equipped to handle the next level of self-driving, Level 4, which would automate most of the tasks of driving and fallback to the self-driving system in an emergency, but that those capabilities might not be enabled due to regulatory concerns. The iNext is also slated to have an advanced version of BMW's gesture control.